Baby Animal Days are April 11-May 6 this year at Indian Ladder Farms in Altamont. 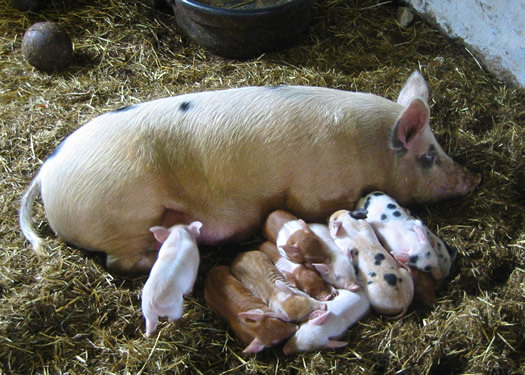 "Come into our Baby Animal Barn where tour participants will see, pet and learn about chicks, turkey poults, ducklings, goslings, bunnies, lambs, goat kids, piglets, and calves. Visit our new Goat Playground and learn about goat behavior while cheering on our lively goat kids as they romp and play with toys. Visit our outdoor farm animal exhibits of adult cows, goats, sheep and poultry to see what baby farm animals will look like when they are all grown up." HSV also offers a baby animals behind-the-scenes tour. "Your tour begins with a wagon ride through the HSV gardens and along the Farm & Forest Trail to the 1910 Barn. Here, in your own private viewing area you'll meet, hold and even bottle-feed the baby animals." Tickets are $30 (and in past years they've sold out). Hancock Shaker Village is a village, museum, and farm on a Shaker site in Pittsfield, Massachusetts -- about 40 minutes from Albany. * The Albany Public Library has passes for HSV -- and many other museums -- that you can check out.